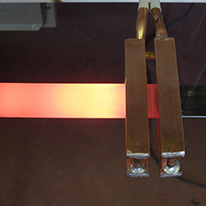 The entirely solid state devices, diversify on the basis of the working frequencies in series 1800, 900, 200, 50 and SA; they show very high efficiency (greater than 95%), thanks to up-to date electronic technology and the use of advanced components, besides the easy adjustment to different dimension heating coils. Thanks to an analogical input 0-10V and to a serial interface RS-232 on each model, it is possible to remote the control of power through PLC or CEIA control units like the Master Controller. 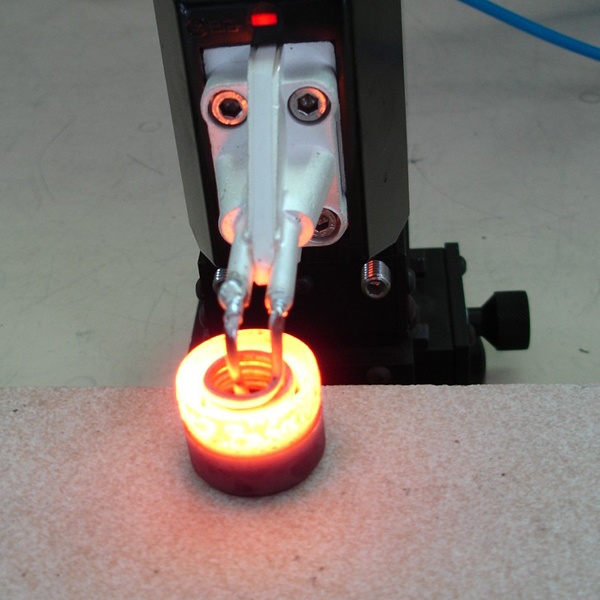 The working temperature can be read and stabilized by using optical sensors series SLE having a reading range from 80 to 2000°C. 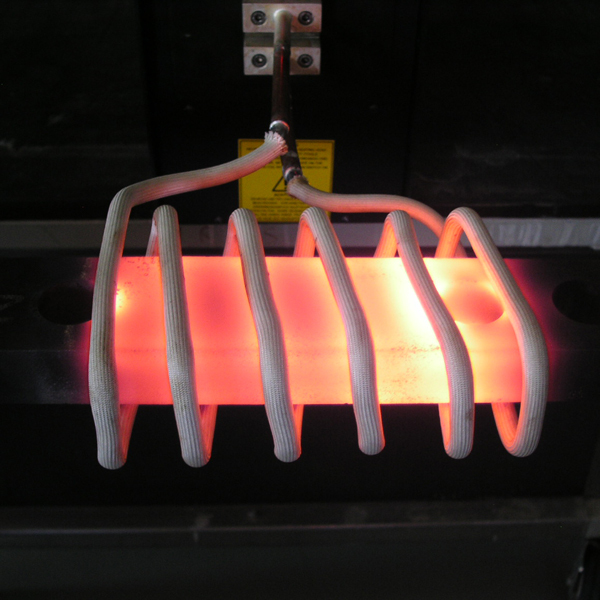 Superficial, localized heating in precise, limited areas. 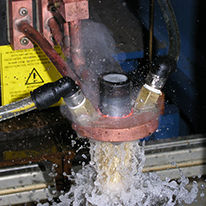 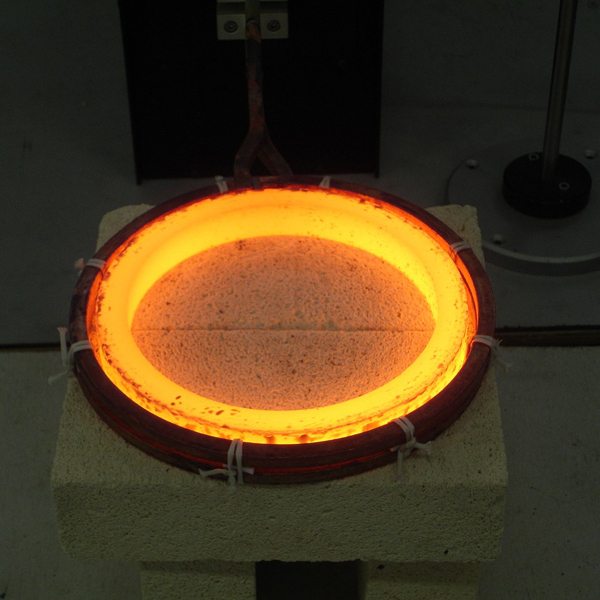 Examples: tempering, heat treatments with differing degrees of hardness. 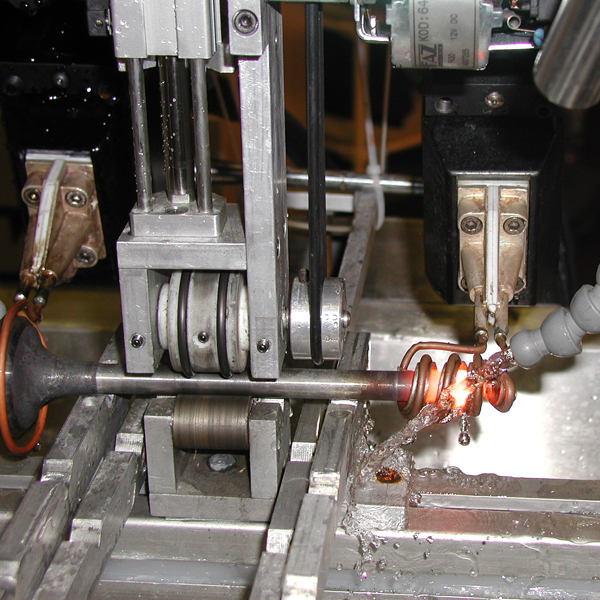 Superficial heating of medium-sized mechanical parts. 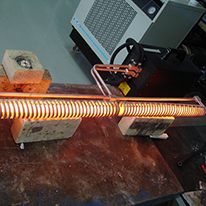 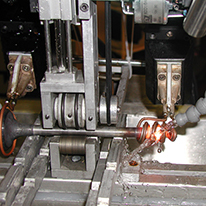 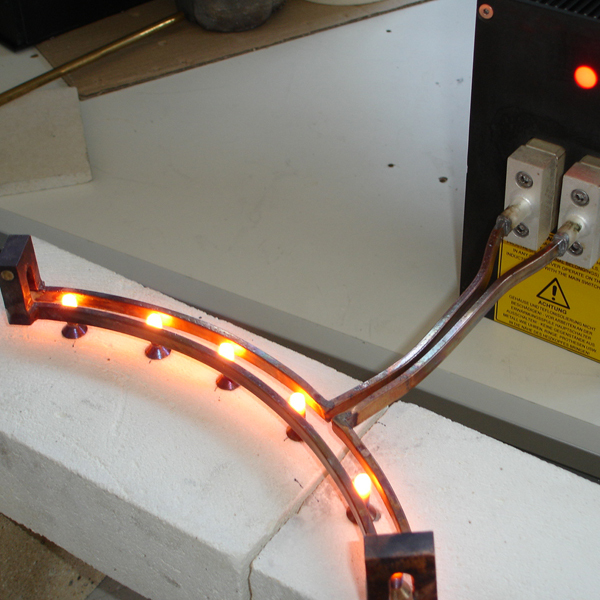 Examples: tempering, heating for hot bending, heating for heating fit. 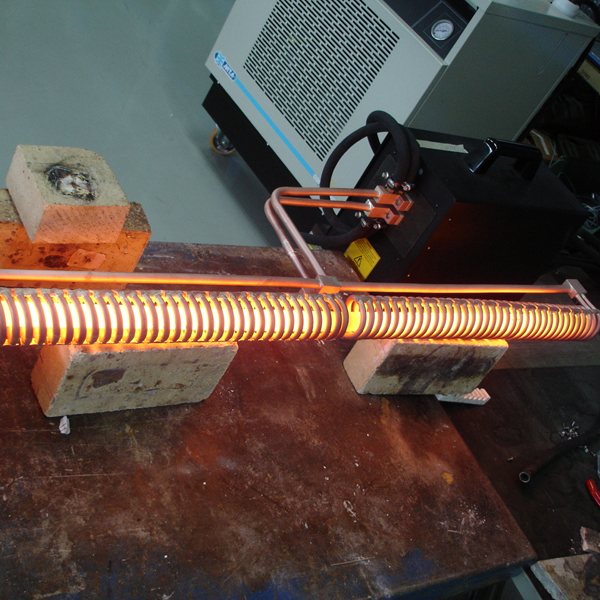 Fast heating with heat penetration to the heart of the object. 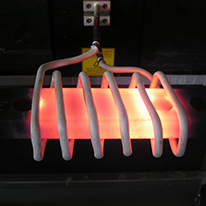 Examples: forging, heating for hot pressing and hot bending.